The ever-popular 6 x 6 readings continue this autumn with “Spooks”. You can find out more on the 6 x 6 website, which also includes submission guidelines, etc. 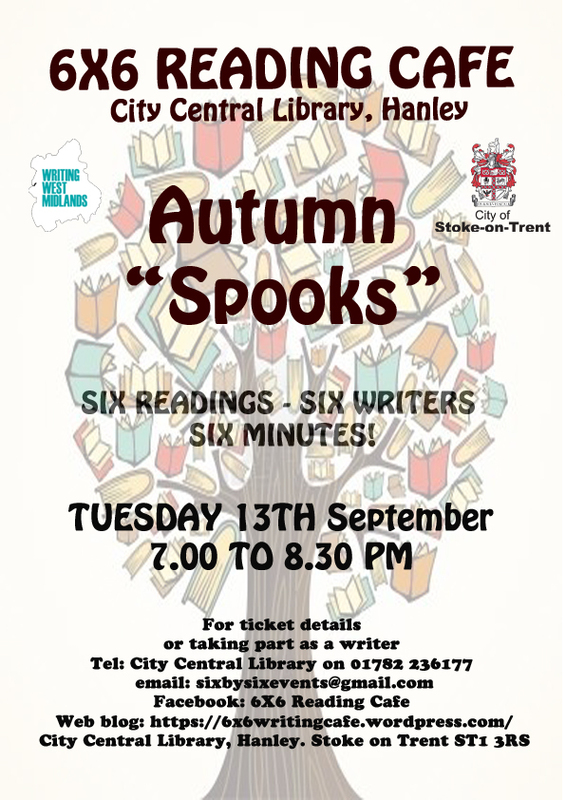 This will be the third event to be held at the Central Library in Hanley, Stoke-on-Trent — and is sure to be equally popular and well-attended. Also, you can follow 6×6 on Facebook. This entry was posted in Events, General and tagged 6x6, Central Library, Hanley, Renegade Writers, Spooks, Stoke-on-Trent, story cafe, storytelling. Bookmark the permalink.